With the recent publishing tools available for an author, self-publishing has become comfortable. If you are someone who wants to bring out his book, you now have many options at your disposal. More often than not, you can prepare a book all by yourself. This and the ability to publish your works in different hosts is a boon after all. You have eBook preparing software for both Windows or Mac, which allow you to do these tasks with simple clicks. The process of making an eBook is easy enough when you know how to use the offline tools quickly. Thus, all you will have to worry about is the way your book looks in the output; it’s cover image and such. However, helping you in doing so are offline tools like Scrivener, which gives you total control over all things you want. As you already know, eBooks are here to stay. All the works which were being painstakingly written in the physical forms are getting into the digital form. And some are directly going so. These conversion methods have made our life easy as an author, or as a publisher and more so as a frequent reader. Now, talking from the storyteller’s perspective, you can safely say that the self-publishing ways are the easiest and the cheapest modes of publishing. The writing aids and tools which help you bring out your book are many in the market. Some tools help you format your text, the alignments, and many references. You also get offline tools which help you get the correct text size to get the book out in. And then there are tools which do all this and more, regarding editing, preparing and formatting your eBook. All you need after that is to upload your eBook to the hosting website like Amazon Kindle store as an eBook. 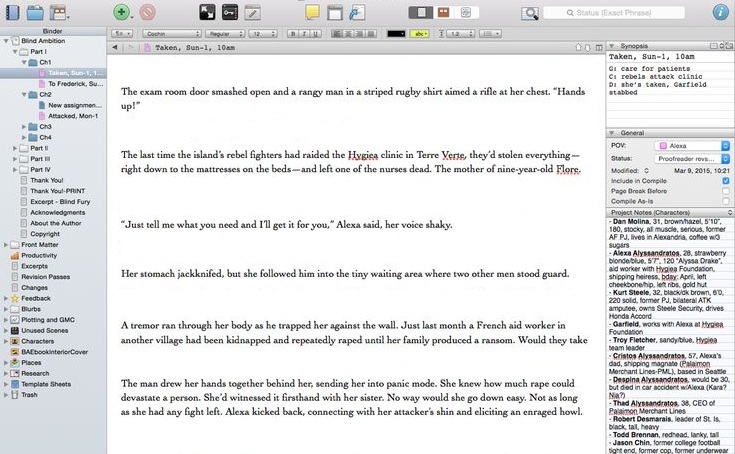 Scrivener is one of the best tools to help you prepare your eBooks. Although there exist tools like Calibre or Sigil which give you plenty features regarding book editing, Scrivener inches past them. Thus, Scrivener is somewhat a more involving package which gives you all of the best editing features. With this, you’d need nothing else. 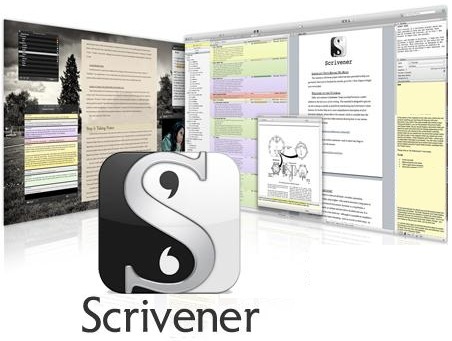 In the discussion following, we will look at why many publishers worldwide, prefer Scrivener to anything else. Also, we will try and see if Scrivener can be the best bet for eBook readers like Kindle, BlueFire, Aldiko and Google Play books on devices. The first thing you will observe when using Scrivener is the ease of operations. The offline tool operates with a simple idea. It is to provide you with a creative space to throw around your content in the way you want it. With the automatic measure windows, where you can place different ideas, different storylines, and then combine them accordingly. You have the total control of making the best possible output possible. However, you will find the best use of the tool, when you get hold of the full version. However, you don’t have to worry about it, because you will get the full version to try for 30 days. Thus, you are free to use Scrivener for 30 days, with all the features in it. Having said that, it is a good practice to buy the full version when you are done with 30 days. The whole package comes in a fairly easy use. You can pick up books, manuscripts, and drafts written in any text format and start working on it. When it comes to editing the said text, you always have a way of separating writing from editing. Scrivener prides itself in giving you two different methods of dealing with the text. Of course, editing but what else? Well, the answer to this lies in a simple blank window with minimum toolbars on the top. Yes, we are talking about Scrivener as something of a book writing tool as well. Thus, you may write directly in the tool, without having to type someplace else. This way you have the control to have any and all elements of the writing project. However, at a later point, when you have found the perfect manuscript, you can join the different window contents and make a book out of it. To get started with Scrivener for iOS (or its desktop counterpart), you’ll be asked to create a new project. Each project can store a wide variety of file types, including audio, video, web archives, PDFs, images, and text files. These individual files can be imported into the project from cloud services like iCloud and Dropbox and iOS apps like Pages, PDF Expert, or Printer Pro. These files are organised into a Binder that contains an editable nested file system. Files can be viewed one-by-one or reviewed, by the folder, in a group. Once you have the files arranged in the way you want, you have the freedom to take them singly. You can make changes to each file, and made to reflect it to the other connecting windows as well. The working around in Scrivener is super easy when you use the keyboard shortcuts both in Windows or iOS Mac systems. Scrivener for iOS comes with a robust word processor that makes use of standard iOS keyboard shortcuts. It provides a large number of formatting tools fonts, styles, lists, and the like, but not so many that you’ll waste hours tweaking your work when you should be writing. Look and feel of using this text editor comes with the ‘corkboard‘ looking windows. At the first step, all your projects are shown as the snippets in the cardboard looking pin up board. Thus, you can see the little snippets becoming the shortcuts to bring change over the documents loaded up. Also, they serve as natural means to edit and control the various aspects of writing and editing. One of the key elements of Scrivener is that it lets you import and store everything, not just the main text you’re writing but also your research, photos, relevant (or inspirational) art, online links, outlines, plans, and so on. You can add anything you need. If it’s part of your process, you can import it into your Scrivener project. With these features in place for Scrivener, you don’t have to worry about restricting your paths for input. With options like Drag and Drop, Browse to select, and direct URL links to load up your projects to make edits. Also, one other major factor that you need to understand is the format compatibility. Therefore, you can load up any major text formats like ePub, PDF, Mobi, RTF(rich text format) or HTML5 even. All to say you have all the freedom to work on the files. Scrivener gives you options to load all the books and their elements as well. Unlike other text editors, which only allow you to get the plain text materials, here you get all the associated files too. Importing everything you need into the process window is an added feature of Scrivener. Thus, you can load up and edit with all the fonts, alignment, highlights and another typesetting. With everything in one place kind of scenario, you never miss out on anything. With fragmented, multiple windows available within the application, you can get ahead and manage properly. As you get the projects into several smaller ones, you have easy management. Of course, with more division and control, comes new organisational tasks. With Scrivener organising the data and projects in easiest ways possible. 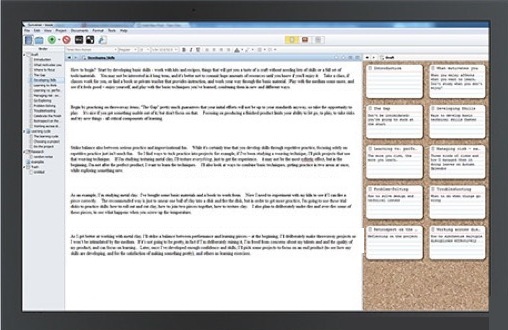 Scrivener allows you to more efficiently organise both what you need to write and what you write. Ideally, better organisation means better writing. You can get ahead and do more with Scrivener in creating multiple projects within the fragments as well. Thus, Scrivener becomes a valuable tool in showcasing the projects in each of their quantity and quality. Scrivener also helps you create in the most elementary sense. The Corkboard option lets you gather notes and ideas and characters and lay them out. You can see your thoughts and brainstorm about how to put them together, creating new shapes and textual structures as you go. The Scratch Pad feature also lets you scribble down (type) ideas at any time. If you’re in the middle of chapter one and have a eureka moment about the ending of your novel, you can simply snap off a Scratch Pad note and file it away in the right spot without leaving your current screen. Scrivener offers a lot of fluidity regarding how you present and organise ideas, text, and information. It gives you the freedom to explore, change and do more than just type. Scrivener provides clear, visual planning options that allow you to add, delete, and rearrange sections of your work, both in your text and in your notes and outline structures. Apart from the usual typing features, Scrivener offers a lot of writing (and researching) tools as well. Along with the classic word-processing functions, this book writing software provides quick and easy ways to conduct Google and word searches, translate text, and even generate names. Everything that’s needed to support the writing process is here. Once you have text in Scrivener, you can format it as desired. Writing a script? No problem; Scrivener has you covered. Its script format is even compatible with Final Draft. With Scrivener taking care of the multiple projects, which will help you get a bird’s eye view of all the various elements of writing. You can take up any changes in it and compartmentalise it. This means that your further changes do not affect other parts of a project. The complexity involved in getting used to Scrivener is an issue here. You will find that you are more or less in a maze when you initially fire it up. Thus, you will have to get a good grip on multi-window, multi-facets, multi-projects, etc. before you get along. Also, the spiral bind approach which was something of a norm ages back is also used there. This is where a user may find it confusing, as not many text editors work in this fashion. With separate folders for the title, text matters, manuscript, images, cover images, etc., you will find it a great task to bring them all in. Although, the working of Scrivener will help you in many ways than one, some just not easy. However, given the options for touch displays, the tool is best suited for smart devices or touch laptops. Also, in this context, this tool is highly useful in Mac systems which will have greater control over the tool. The size and complexity of the program mean that this book writing software will take you some time to learn. Scrivener is not a “click the button and start typing” sort of proposition. It will require the user to learn before he leaps into using the tool. It is also a bit too technical when you compare it to the already available tools like Sigil or Calibre etc. Now, the basic difference that these guys have with other eBook editors is that you can touch the editing on the go. Scrivener, on the other hand, will have to be opened in a separate window as well, which is a boon for some. A limitation for many others who like to go ahead and edit on the go. Also, the learning time is further increased with a very comprehensive guide which comes along with the tool. Once you download the tool, you also get around 300 pages long, detailed instructions, with videos and more, which can confuse you at first. You may end up reading the detail way too much to use it. With every new update, come Furthermore complications, which make life tough. Though you can find them useful in many ways, you may have to spend a lot of time trying to understand them. 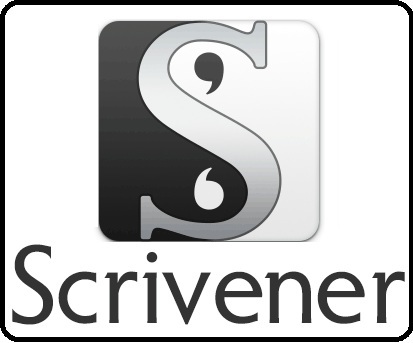 This way Scrivener discounts the ease of use for a professional help tool. With Scrivener, you will get a trial period by default of 30 days. This is when you register for the first time at the homepage of Scrivener which opens up post installation. Thus, you get to try the text editor to the best of effects. When we say, entirely, we mean that you can get hold of all the features in the tool. 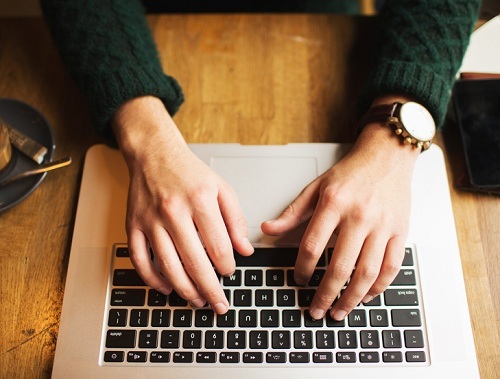 This way you know fully where and how you can utilise the tool for your text editing ways. If you are someone who is looking to publish a book by using this tool, you will have to see to all the features. Now, Scrivener is an excellent option when you want to convert text-based formats from Doc to PDF, or PDF to Mobi, Epub to Mobi and so on. Scrivener within its trial period also allows you to edit the metadata for a given title. This feature is especially useful when you want to self-publish a book. Also, with metadata edits, you can classify your books according to the tags on online platforms. Thus, Scrivener saves a lot of effort in bringing you the exact place in category and sales for your book. However, post 30 days you will see that most of the features about Metadata Editing, Cover Image inserting, Watermark removal, etc. are all lowered down. Thus, you may find it difficult to manage with the restrictive bonds. All things active, if you are a self-publisher, you will see that Scrivener is a good bet to get your book into shape. Or make your manuscript as sharp and clean as possible. However, if you are someone initially trying Scrivener, you may find it a great maze walking in. With an incredible number of options, it is easy to get lost and mess up your output. Hence, this is where you will need someone to help you out. Why not choose a simple solution. Why not just go with a publishing services company, who can get your work done in a jiffy. With hardly any cost, you get your book to come out in the best way possible, saving up time and resources by a large measure. Drop us a mail right away, and let’s together give your book the best treatment it so deserves and make it a huge success in the literary market.